Thank you to @artnet for including me and Doug in their article on 9 Pioneering Artists working with AI. I spoke a bit with @Naomikrea about the potential I see in working with this new medium. Sougwen Chung, Drawing Operations (2017). Courtesy the artist. WHO: Chung is a Canadian-born, Chinese-raised, New York-based interdisciplinary artist and former research fellow at MIT’s Media Lab. She’s currently E.A.T.’s artist-in-residence in partnership with the New Museum and Bell Labs. Her work, which spans installation, sculpture, drawing, and performance, explores mark-making by both hand and machine in order to better understand the interactions between humans and computers. She has exhibited at institutions including The Drawing Center in New York and the National Art Center in Tokyo. WHAT: For her current project, Drawing Operations, Chung uses Google’s TensorFlow, an open-source software library used for machine learning, to classify archives of her own drawings. The software then transfers what it has learned about Chung’s style and approach to a robotic arm that draws alongside her. She’s also working on a few new projects using pix2pix (a neural network trained to produce variations on an image, like the nighttime version of a daytime photo) and sketch-rnn (which tries to continue or complete a digital sketch based on where the human leaves off) to expand on this idea of human and machine collaboration. 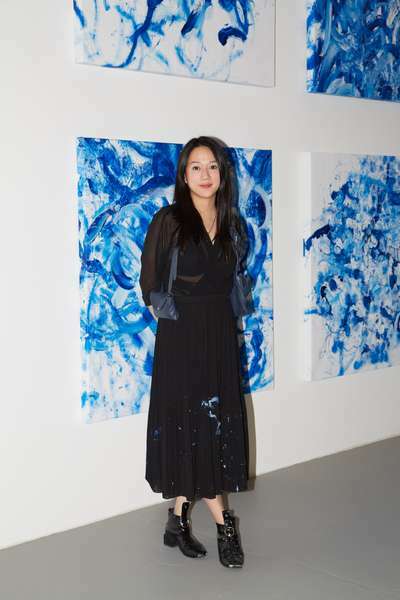 Sougwen Chung, Omnia Per Omnia Performance. Photo by Irina Abraham. 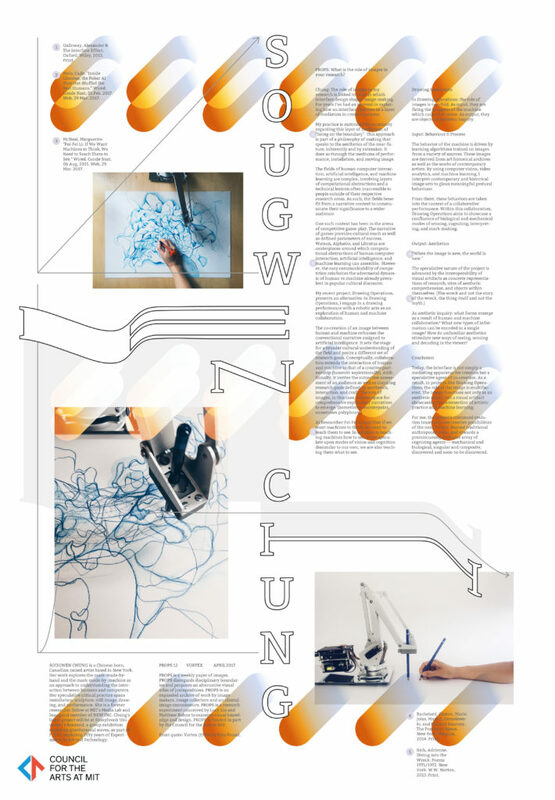 "In Omnia Per Omnia Sougwen Chung explores collaborating with robots as opposed to using them as a tool. As I enter the room, the artist and the engineer Andy Cavatorta are fussing around little machines with exposed hardware, which seem to roam free around a white platform. Sougwen and Andy look like two caretakers with the little robots being their wards. 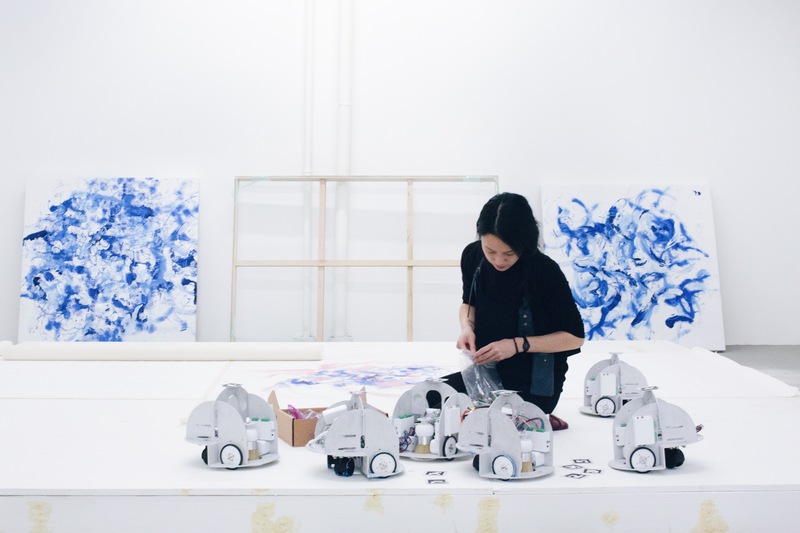 When Sougwen first contacted Andy about the project, he jokingly asked if she wanted him to build her an army of painting robots. To his surprise it was exactly what Sougwen who had designed, coded and engineered the prototypes, intended. The robots are using surveillance footage and have the collective movement of the city power the movement of their swarm. Sougwen is painting the portrait of the city together with the robots. When asked what the difference is between collaborating with humans and robots, Andy and Sougwen laugh and say that humans cooperate. Their hope is that the robotic swarm will keep learning and evolving. On the day of the performance, Sougwen is surrounded with audience and journalists. Once the robots start moving and the music fades in, everyone turns quiet. 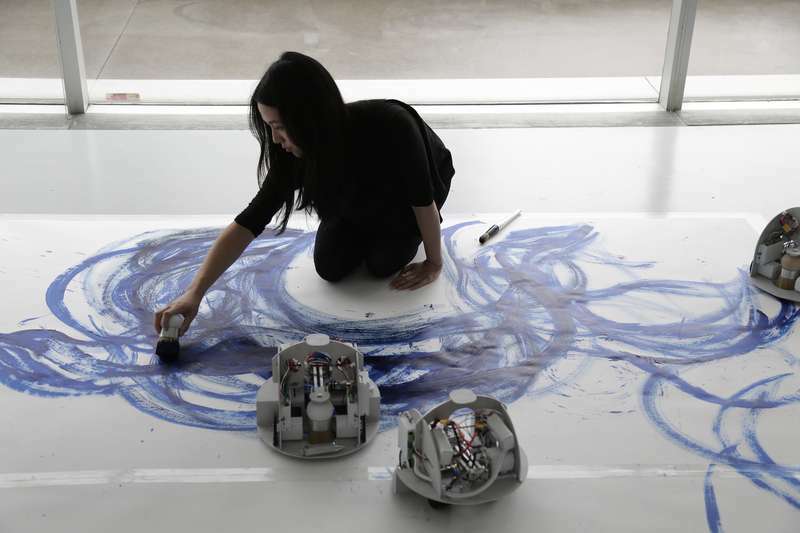 The slow and seemingly purposeful movement of the robots, the traces of the blue paint they leave behind, the motion of Sougwen's brush and the expression of total concentration on her face create an atmosphere of a ritual, a spiritual action. The audience is affected by the magic happening in front of them. 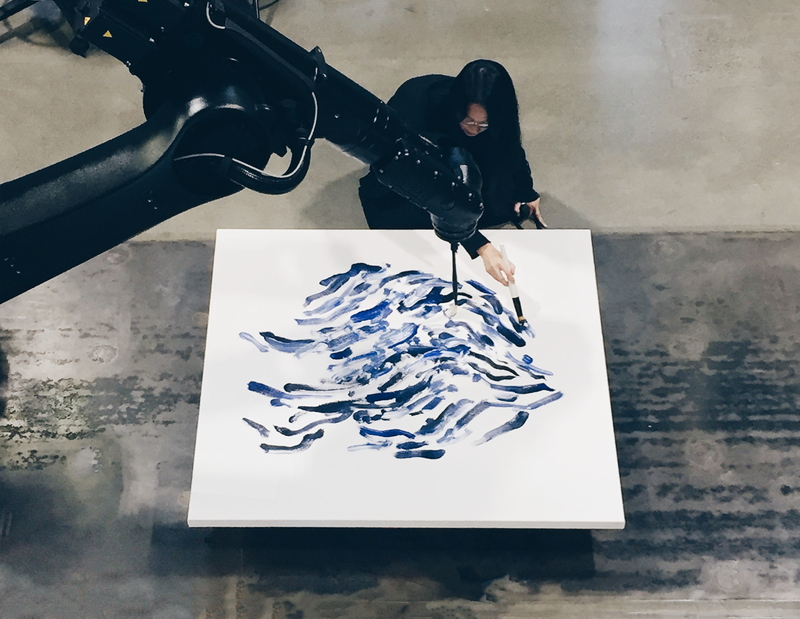 Watching the artist paint with the robotic swarm creates a true emotion, the way only art can. " Sougwen Chung: The role of images in my research is linked to ways in which interface design shapes image-making. For years I've had an interest in exploring how an interface operates as a layer of mediation in creative process. My practice is motivated by a curiosity regarding this layer of mediation, of “being on the boundary”.1 This approach is part of a philosophy of making that speaks to the aesthetics of the near-future, inherently and by extension. It does so through the mediums of performance, installation, and moving image. The fields of human-computer interaction, artificial intelligence, and machine learning are complex, involving layers of computational abstractions and a technical lexicon often inaccessible to people outside of their respective research areas. As such, the fields benefit from a narrative context to communicate their significance to a wider audience. One such context has been in the arena of competitive game-play. The narrative of games provides cultural reach as well as defined parameters of success. Watson, AlphaGo, and Libratus are centerpieces around which computational abstractions of human computer interaction, artificial intelligence, and machine learning can assemble.2 However, the easy communicability of competition reinforces the adversarial dynamic of human vs machine already prevalent in popular cultural discourse. My recent project, Drawing Operations, presents an alternative. In Drawing Operations, I engage in a drawing performance with a robotic arm as an exploration of human and machine collaboration. AI Researcher Fei-Fei Li says that if we want machines to think, we need to teach them to see.3 In addition to teaching machines how to see, as we speculate upon modes of vision and cognition dissimilar to our own, we are also teaching them what to see. In Drawing Operations, the role of images is two-fold. As input, they are firing the synapses of the machine which cause it to move. As output, they are objects of aesthetic inquiry. The behavior of the machine is driven by learning algorithms trained on images from a variety of sources. These images are derived from art historical archives as well as the works of contemporary artists. By using computer vision, video analytics, and machine learning, I interpret contemporary and historical image sets to glean meaningful gestural behavior. From there, these behaviors are taken into the context of a collaborative performance. 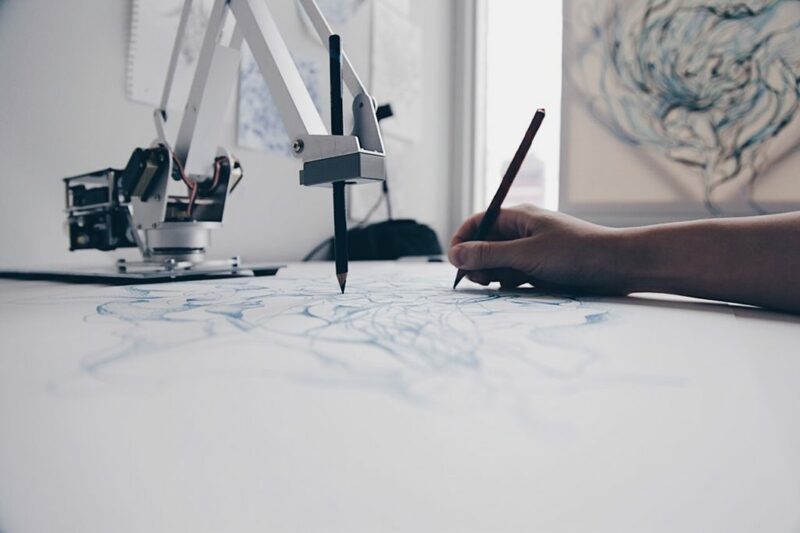 Within this collaboration, Drawing Operations aims to showcase a confluence of biological and mechanical modes of sensing, cognizing, interpreting, and mark-making. As aesthetic inquiry: what forms emerge as a result of human and machine collaboration? What new types of information can be encoded in a single image? How do unfamiliar aesthetics stimulate new ways of seeing, sensing and decoding in the viewer? Today, the interface is not simply a mediating apparatus for creation but a speculative agent of co-creation. As a result, in projects like Drawing Operations, the role of the image is multifaceted. The image functions not only as an aesthetic object, but a visual artifact showcasing the intersection of artistic practice and machine learning. For me, the project's continued evolution teases at some creative possibilities of the near-future. Beyond traditional anthropocentrism, and towards a promiscuously inclusive array of cognizing agents — mechanical and biological, singular and composite, discovered and soon-to-be discovered. 1 Galloway, Alexander R. The Interface Effect. Oxford: Wiley, 2013. Print. 2 Metz, Cade. "Inside Libratus, the Poker AI That Out-Bluffed the Best Humans." Wired. Conde Nast, 01 Feb. 2017. Web. 29 Mar. 2017. 3 McNeal, Marguerite. "Fei-Fei Li: If We Want Machines to Think, We Need to Teach Them to See." Wired. 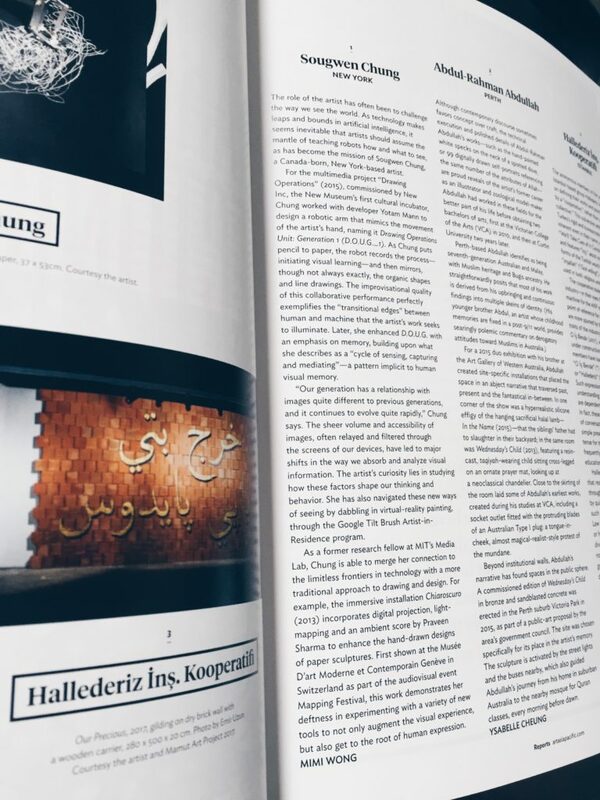 Conde Nast, 06 Aug. 2015. Web. 29 Mar. 2017. 4 Bachelard, Gaston, Maria Jolas, Mark Z. Danielewski, and Richard Kearney. The Poetics of Space. New York: Penguin, 2014. Print. 5 Rich, Adrienne. Diving into the Wreck: Poems 1971/1972. New York: W.W. Norton, 2013. Print. Humans have an innate need to adapt and improve what surrounds them. The strong desire to create a better, more meaningful future can be seen through each culture’s artistic and technological developments. Though we as a species are programmed to aspire, grow, and create, the invention of something truly novel—whether it takes the shape of a groundbreaking artwork or a new technology that revolutionizes daily life—is rare. One, therefore, has to wonder: what are the circumstances that enable creativity and invention? In the 1950s, Mervin Kelly became the president of Bell Labs, the New Jersey research facility, and set out to transform it into an “institute of creative technology,” an initiative that ultimately led to the invention of the laser, transistor, and solar cell, to name a few.1 He enacted social and architectural strategies to empower researchers, including a mandatory open-door policy that encouraged interactions between engineers, chemists, and mathematicians in a collaborative, interdisciplinary environment. Kelly also offered researchers the latitude to delve into self-directed inquiries for years at a time without a specific result in mind. He even designed some of the hallways at Bell Labs to be exceptionally long so that, in walking from one place to another, one would come across acquaintances, who might inspire fresh ideas or diversions. This synergistic, go-for-broke mindset became firmly embedded in the Bell Labs culture and laid the groundwork for radical breakthroughs and collaborations across disciplines between employees and others beyond the walls of Bell Labs. Billy Klüver joined Bell Labs as an electrical engineer during Kelly’s tenure. He was encouraged to follow his passion for cinema and regularly attended film screenings and exhibitions in New York. Before long, Klüver met Robert Rauschenberg at the Museum of Modern Art, followed by John Cage, Merce Cunningham, Jasper Johns, Yvonne Rainer, and Andy Warhol. Over the course of their conversations, Klüver and the artists realized that their combined skills and resources could lead to the creation of works that merge artistic vision with cutting-edge research at Bell Labs. A sense of possibility expanded on both sides, and the artists gave Klüver wish lists for newly available or not yet imagined technologies. Klüver and the engineers at Bell Labs went into production mode, developing inventions such as modified TV sets and projectors that displayed abstract images in response to a musical tone, a Doppler sonar that translated movement into sound, and FM transmitters that relayed sounds from the human body to loudspeakers. 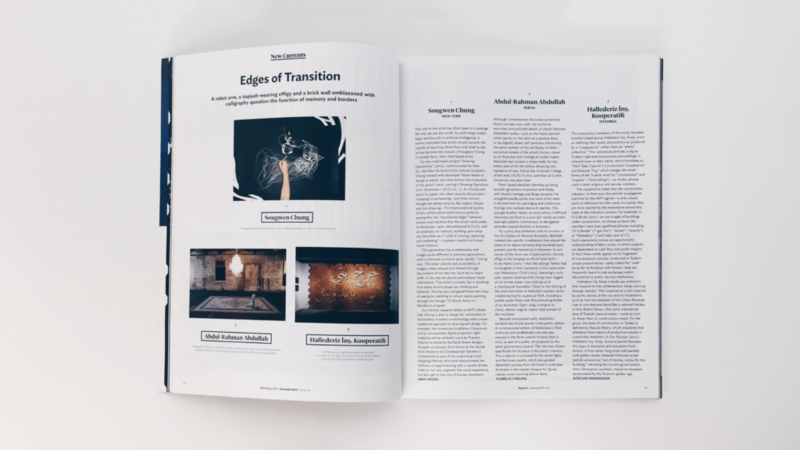 The resulting artworks were not only ambitious but also the first of their kind, pushing both sets of collaborators to consider the creative possibilities and implications of emerging technologies. In October 1966, they were introduced to the public in a performance series, called 9 Evenings: Theatre and Engineering, at the 69th Regiment Armory. A few months later, Klüver and Rauschenberg, in collaboration with Fred Waldhauer and Robert Whitman, launched Experiments in Art and Technology (E.A.T. ), a nonprofit organization established to support collaborations between artists and engineers. Through these seminal collaborations and the decades of partnerships that followed, both artists and engineers experienced the advantages of multidisciplinary collaboration. While engineers tend to address challenges in a reductive, linear way, artists generally create artworks using a broader, more divergent approach that can also inspire tangible contributions to a technologist’s research. The engineer will often take a general or universal question and break it down into small components while an artist can observe something that’s seemingly simple and create a whole universe froman it. Though different, the approaches are complementary because both parties are working in an abstract way toward new discoveries. The goal of ascertaining some new or deeper understanding of the world is a commonality between them. Two artists and one artistic collaboration—Sougwen Chung, Lisa Park, and the dance duo Hammerstep—are working with engineers to propel their practices forward. 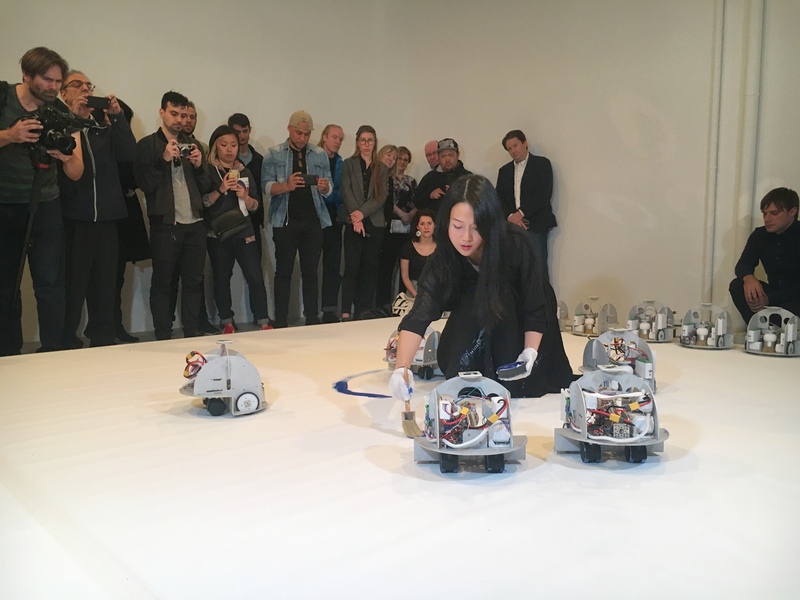 Chung began the residency after years of participating in a drawing collaboration with a robotic arm; through her discussions at Bell Labs, she is increasing the robot’s intelligence and multiplying it in order to study crowd behavior, influence, and empathy. Park is building upon her past work with brainwave sensors and heart-rate monitors to create a holographic installation that responds to human touch. 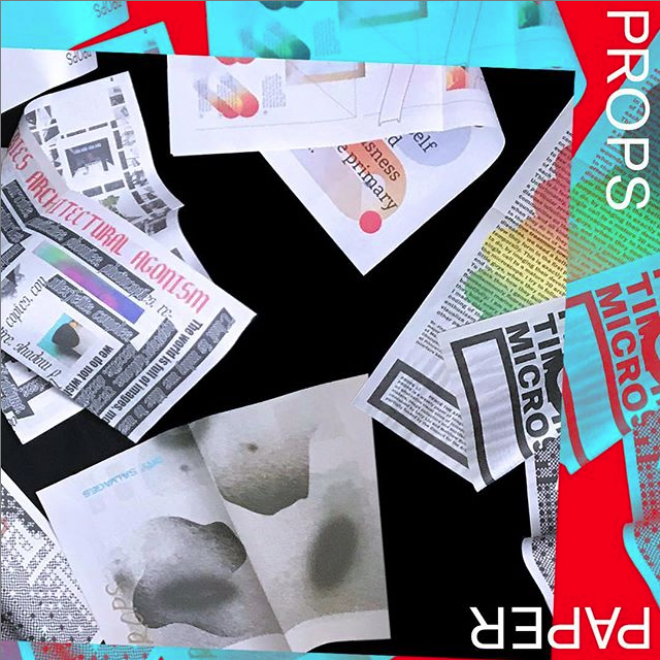 Hammerstep is turning their futuristic dystopian written narrative into an immersive theater experience using interactive projections, motion- and biometric sensing, and low-latency locational technology. While these alternative and often poetic interpretations diverge from the engineer’s initial intentions, they have the ability to reveal aspects of technology—and our relationship to it—that wouldn’t have existed any other way. On a daily basis, artists and engineers seek original ideas, processes, and devices for the benefit of humankind. Through close examination of past successes, we learn that the ability to take creative or intellectual risks without fear of failure, to participate in multidisciplinary collaborations, and to have freedom to develop seeds of ideas over a long period of time are essential for nurturing invention. Art and technology will define the future of humanity. In order to reach our greatest potential, it’s imperative that we support those who are operating at the edge of possibility. 1. Jon Gertner, “True Innovation,” New York Times, February 25, 2012. I love the point you bring up in your discussion about "image-making," specifically teaching machines how and what to see. In many ways, I feel that's often the role of the visual artist for people, as well—to show us what to "see" or how to look at something in a new way. Is that something that motivates you? In some ways, yes. I’m curious about what is unique about image-making today, and why? How can it be taken apart? These concerns are not new, and have precedents in the history of visual art. However, our methods of producing and disseminating images have changed pretty significantly, even over the past 15 years. Our generation has a relationship with images quite different to previous generations, and it continues to evolve quite rapidly. One example is that images today are captured en masse, and filtered in a way to become part of a collective visual memory, which shapes our collective thinking and behaviour. This cycle of sensing, capturing, and mediating is implicitly addressed in the collaboration with the robotic arm. The drawing process is recorded, algorithmically parsed, and then reintroduced as behaviour for a collaborative performance. The experiment is ongoing. 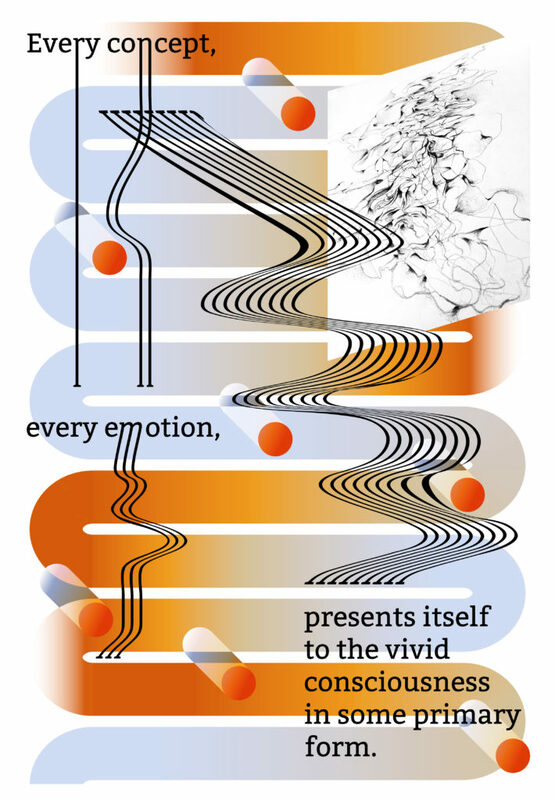 I’ve found that the project is generating a curious set of visual experiments that also facilitate my deeper understanding of images, creative process, and self-directed tools. I’ve found that by evolving this workflow, I’m starting to understand drawing in new ways. Do you see yourself or technology leading your work? Does the prospect of new technology encourage you to try new things or do ideas formulate and then you find the means to create them? I’m sensitive to the mediating effect of technology; I try to be very aware of the framework which is presented by whatever technology I am engaging with at the time. My process is about finding ways to understand the tools available more deeply but also break them apart a bit. Maybe it started from a reaction to perceived constraints and questioning preconceptions of interfaces. In some earlier works, my leading the form has been a central tenet of my interest in it — but in more recent explorations, I’ve been loosening my grip on that idea of control, so to speak. The question of control in technology today deeper than simple determinism. Often the frustration of technology is that we expect it to do one thing and then it inexplicably does another. Either out of human error or some internal problem. Does that ever complicate your work? Does it ever elevate it? Projects that challenge what is expected of that dynamic — the false binary of intuition and computation, excite me. As technology advances through machine learning, what keeps the artist and machine separate? The computational and algorithmic nature of technology “learning” new modes means that, at some point possibly in the near future, it could create something functionally no different than “organic” work. Is there a line you draw between what the machine can do on its own and what has to be manipulated? Our definitions are becoming more elastic, some would say gradually and others too rapidly. As with most things, its a matter of perpspective. Imaging technologies are already pretty advanced, so the authenticity of the form is no longer defined by the perfection of the representation. Put another way, a computer can already replicate a painting, and its already difficult to distinguish a photo of an object from the “real thing”. This is pretty established ground. What I’m curious about is how these new ways of seeing and learning evolves a creative process. To your question — does the artist and machine need to be separate? 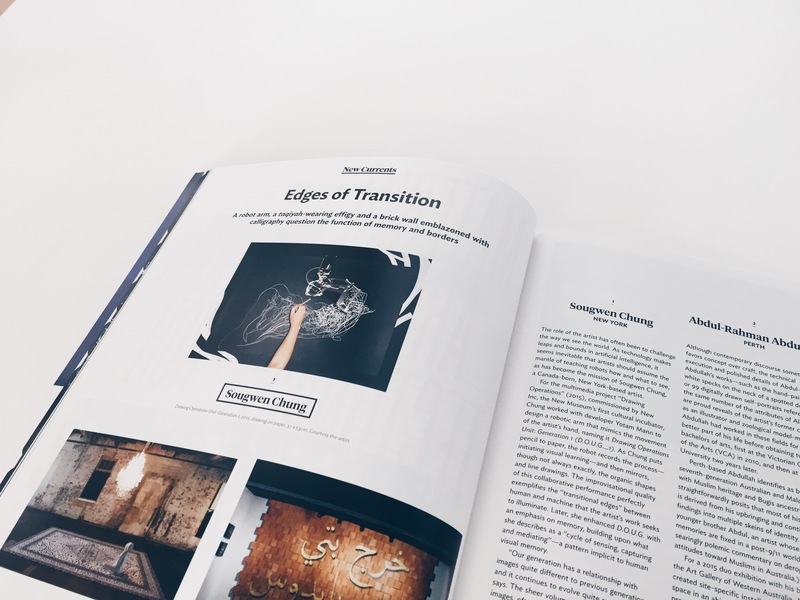 What does a composite creative process look like — and what precedents does this evolving hybridity have in art history? In this space, there is a strain of speculation that leads to real invention. We’re living in an unprecedented time, the interplay between speculation and invention is sparking like a live wire. My curiosities are driven by that energy.